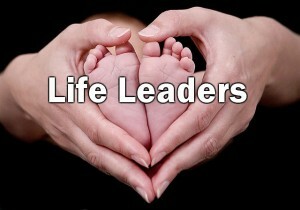 A Life Leader is an individual who works within their community to best represent the pro-life position, working in conjunction with National Right to Life, and its state affiliate, the California ProLife Council, a Life Leader realizes that pro-life individuals must effectively function as citizens, right where they are. works as a ‘representative’ in their community, communicating appropriate information for the cause of Life. subscribes to California ProLife News and the e-mail alert system of California ProLife www.californiaprolife.org (this allows timely and important information to be quickly disseminated. Subscribes to NRL News in order to understand the bigger National picture. As well as other more in depth information on related issues as Embryonic Stem-Cell Research, Cloning, etc. sponsoring training sessions; public pro-life events; Zip Code co-ordinator; petition drive; “Forgetting Someone?” Church project; Legislative meetings; identifying local pro-life candidates for school board/city/ county office; sponsor pro-life film showings; identifying pro-life voters and ensuring pro-lifers who aren’t, get registered to vote; distribution of pro-life information books and literature; pastor training workshops; start pro-life Speaker Bureau, and much more. You can work on one project or on several in conjunction with others. Have you read CPLC's Policy Statements?